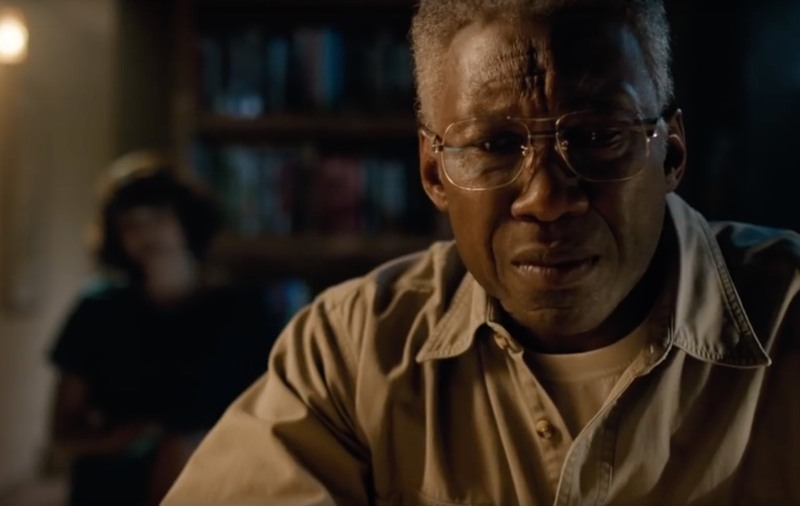 Enlarge / “Did you think you could just go on and never once have to look back?” An elderly Wayne Hays (Mahershala Ali) has to reckon with his dark past in season 3 of True Detective. HBO’s True Detective was a pop-culture sensation when it debuted in 2014, but its sophomore outing sadly had none of the original’s haunting magic. So we were pleased to discover season 3 had returned to form, mixing elements of noir and procedural drama to weave a haunting tale of fractured time and memory. It’s the best installment yet in the anthology series. Created by novelist Nic Pizzolatto, True Detective has always fostered a very literary, philosophical tone, falling very much into the “slow burn” category of prestige TV. When it works, it’s brilliant. Season 1 was set in the Louisiana Bayou, as Detective Rustin “Rust” Cohle (Matthew McConaughey) and his partner Detective Martin “Marty” Hart (Woody Harrelson) tracked down a twisted serial killer with a fondness for leaving weird twig sculptures in the woods. The spooky setting and strong chemistry between the lead actors pretty much ensured its success with viewers and critics alike. The less said about season 2 the better. Despite solid performances from leads Colin Farrell, Rachel McAdams, and Taylor Kitsch, the plot was a mess—something about a dead city manager, political corruption, and a crime boss’ ill-fated rail project, all set in the fictional town of Vinci, Calif. Not surprisingly, the dreary, disappointing season hemorrhaged viewers. But Pizzolatto was able to take his time with the third installment in the anthology series, letting his ideas simmer into a rich, dark stew, and the result this time is far more satisfying. The young Detective Wayne Hays (Mahershala Ali) investigates a missing persons case in 1980. Hays works with Arkansas State Investigator Roland West (Stephen Dorff). An innocent bike ride about to turn ominous. Amelia Reardon (Carmen Ejogo) is a schoolteacher connected with the missing children. Dredging the river for the missing children. Hays finds one of the children’s bicycles. A mysterious board could contain clues. A middle-aged Hays is back on the case in 1990. An elderly Hays suddenly can’t remember why he’s on this street in the middle of the night. Season 3 is set in the Ozarks and stars two-time Oscar-winning actor Mahershala Ali (Moonlight, Cottonmouth in season 1 of Luke Cage) as Detective Wayne Hays. Pizzolatto went to college at the University of Arizona and hence knew firsthand how powerfully evocative the area (with its mix of period architecture and abandoned buildings) would be for his story. “I feel landscape is a character, definitely, in what I do,” he told Fayetteville Flyer last year. The storyline shifts between three different time periods. The first is set in 1980 and follows a young Hays and his partner, Arkansas State Investigator Roland West (Stephen Dorff, who memorably played Deacon Frost in 1998’s Blade), as they investigate a case involving two missing children. Next is a 1990 reinvestigation of the case in which the person originally (posthumously) convicted turns out to be (probably) innocent. And lastly, we get the present day, as an elderly Hays suffers from dementia and struggles to piece together what really went down all those years ago. It’s Ali’s remarkable performance that anchors this season. This is the second stellar television treatment of age-related dementia we’ve seen over the last year, the other being Sissy Spacek’s performance in Castle Rock. Like Spacek’s character, Ruth, the elderly Hays finds himself slipping between time periods, sometimes finding himself standing on a dark street in the middle of the night, with no recollection of how he got there. It makes for one of the most striking scenes in episode 7, superbly shot to emphasize his increasing isolation and efforts to stave off the encroaching darkness. His failing memory strains his relationships and hampers his attempt to, once and for all, solve the case that ruined his life. And it’s really a challenge to do all that while trying not to reveal his own dark secret. Because the story is told predominantly from Hays’ perspective, the narrative jumps back and forth among the time periods somewhat haphazardly, in keeping with the unpredictability of his memory. But the jumps work: the viewer rarely feels unmoored in time, unlike Hays. Eventually, Hays gets his answers, but will he remember them? Perhaps that’s not the point. True Detective has always been as much about the journey as the central mystery. This is a journey worth taking.